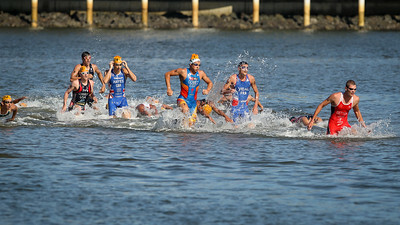 2013 Mooloolaba Men's ITU Triathlon World Cup, Sunshine Coast, Australia. Main Portfolio Gallery by Des Thureson. - This is my main portfolio gallery on the Men's World Cup event. 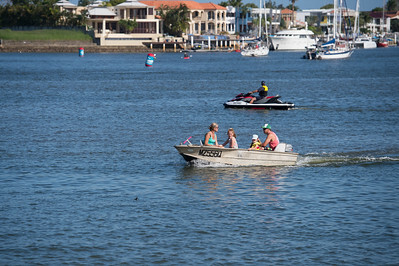 Photos from the 2013 Mooloolaba Women's ITU Triathlon World Cup are here: http://smu.gs/14paVrc. 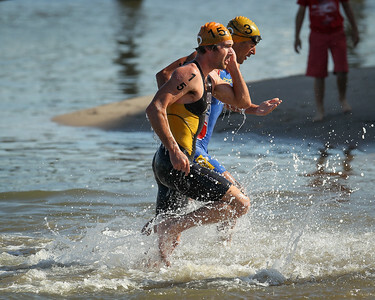 Extra UN-Edited images from both the men's & women's World Cup events are here: http://smu.gs/14l0e8U. 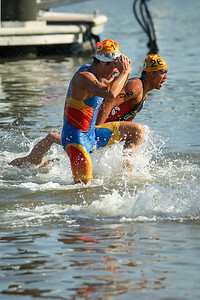 - Portfolio gallery on the 2013 Mooloolaba Women's ITU Triathlon World Cup: http://smu.gs/14nOxyl. 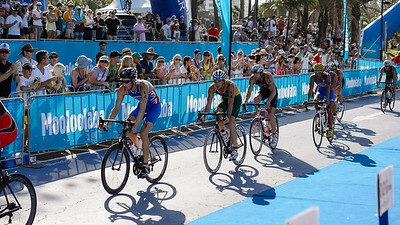 2013 Subaru Mooloolaba Men's ITU Triathlon World Cup; Mooloolaba, Sunshine Coast, Queensland, Australia; 16 March 2013. Photos by Des Thureson - disci.smugmug.com. Camera 2. 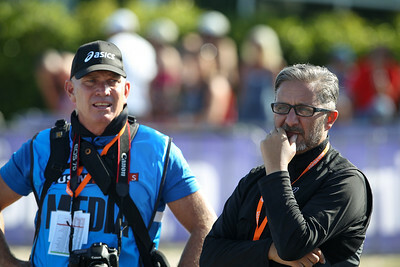 USM Photographer Barry Alsop (Eyes Wide Shut Images; L) reflects with ITU Photographer Delly Carr (Sportshoot; R) - Swim Exit - 2013 Subaru Mooloolaba Men's ITU Triathlon World Cup; Mooloolaba, Sunshine Coast, Queensland, Australia; 16 March 2013. Photos by Des Thureson - disci.smugmug.com. Camera 2. 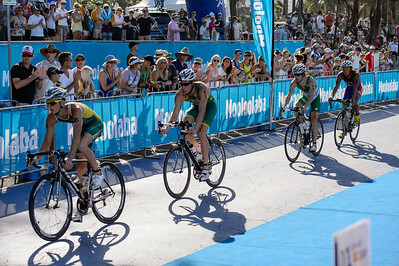 2013 Subaru Mooloolaba Men's ITU Triathlon World Cup; Mooloolaba, Sunshine Coast, Queensland, Australia; 16 March 2013. Photos by Des Thureson - disci.smugmug.com. ITU Photographer and cheerful guy Delly Carr - 2013 Subaru Mooloolaba Men's ITU Triathlon World Cup; Mooloolaba, Sunshine Coast, Queensland, Australia; 16 March 2013. Photos by Des Thureson - disci.smugmug.com. 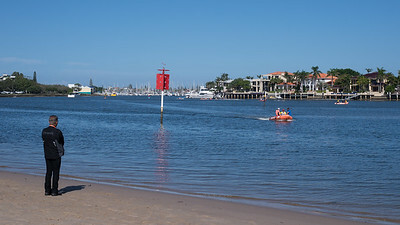 Swim Exit - 2013 Subaru Mooloolaba Men's ITU Triathlon World Cup; Mooloolaba, Sunshine Coast, Queensland, Australia; 16 March 2013. Photos by Des Thureson - disci.smugmug.com. Camera 2. 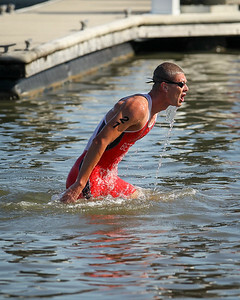 Ben Shaw - Swim Exit - 2013 Subaru Mooloolaba Men's ITU Triathlon World Cup; Mooloolaba, Sunshine Coast, Queensland, Australia; 16 March 2013. Photos by Des Thureson - disci.smugmug.com. Camera 2. 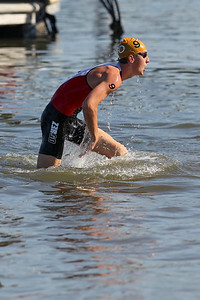 Sam Betten - Swim Exit - 2013 Subaru Mooloolaba Men's ITU Triathlon World Cup; Mooloolaba, Sunshine Coast, Queensland, Australia; 16 March 2013. Photos by Des Thureson - disci.smugmug.com. Camera 2. 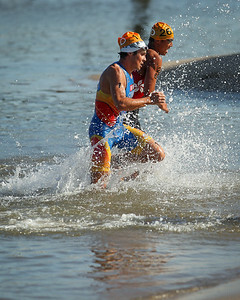 Mitch Kealey, Javier Gomez - Swim Exit - 2013 Subaru Mooloolaba Men's ITU Triathlon World Cup; Mooloolaba, Sunshine Coast, Queensland, Australia; 16 March 2013. Photos by Des Thureson - disci.smugmug.com. Camera 2. 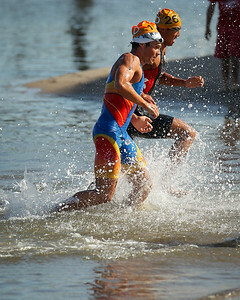 Javier Gomez, Leong Tim LAW - Swim Exit - 2013 Subaru Mooloolaba Men's ITU Triathlon World Cup; Mooloolaba, Sunshine Coast, Queensland, Australia; 16 March 2013. Photos by Des Thureson - disci.smugmug.com. Camera 2. 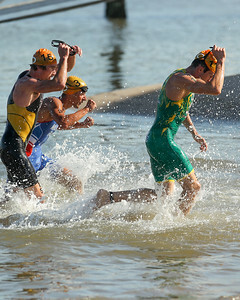 Clark Ellice, Stuart Hayes, Marco VAN DER STEL - Swim Exit - 2013 Subaru Mooloolaba Men's ITU Triathlon World Cup; Mooloolaba, Sunshine Coast, Queensland, Australia; 16 March 2013. Photos by Des Thureson - disci.smugmug.com. Camera 2. 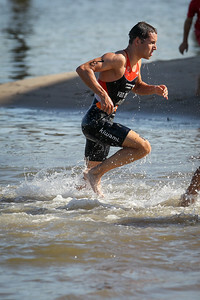 Marco VAN DER STEL - Swim Exit - 2013 Subaru Mooloolaba Men's ITU Triathlon World Cup; Mooloolaba, Sunshine Coast, Queensland, Australia; 16 March 2013. Photos by Des Thureson - disci.smugmug.com. Camera 2. 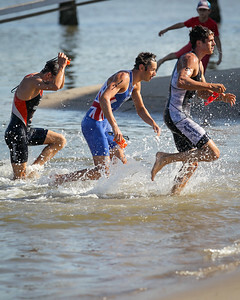 Taylor Cecil, Cameron Good, Tony Moulai - Swim Exit - 2013 Subaru Mooloolaba Men's ITU Triathlon World Cup; Mooloolaba, Sunshine Coast, Queensland, Australia; 16 March 2013. Photos by Des Thureson - disci.smugmug.com. Camera 2. 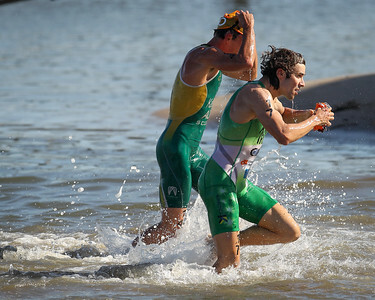 Cameron Good, Tony Moulai - Swim Exit - 2013 Subaru Mooloolaba Men's ITU Triathlon World Cup; Mooloolaba, Sunshine Coast, Queensland, Australia; 16 March 2013. Photos by Des Thureson - disci.smugmug.com. Camera 2. 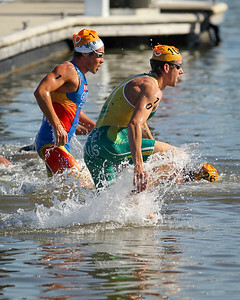 Bryan Keane, Nick KASTELEIN - Swim Exit - 2013 Subaru Mooloolaba Men's ITU Triathlon World Cup; Mooloolaba, Sunshine Coast, Queensland, Australia; 16 March 2013. Photos by Des Thureson - disci.smugmug.com. Camera 2. Stuart Hayes, Nick KASTELEIN, Cameron Good - 2013 Subaru Mooloolaba Men's ITU Triathlon World Cup; Mooloolaba, Sunshine Coast, Queensland, Australia; 16 March 2013. Photos by Des Thureson - disci.smugmug.com. 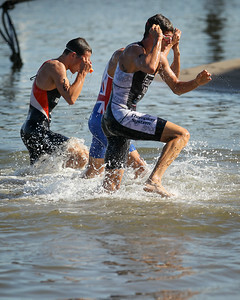 Taylor Cecil, Bryan Keane, Lee DAI YOUNG - 2013 Subaru Mooloolaba Men's ITU Triathlon World Cup; Mooloolaba, Sunshine Coast, Queensland, Australia; 16 March 2013. Photos by Des Thureson - disci.smugmug.com. 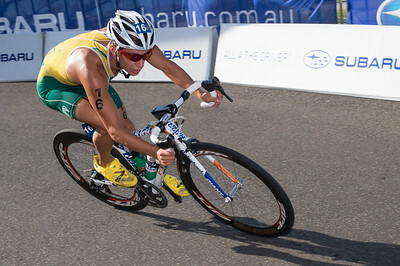 James Chronis - 2013 Subaru Mooloolaba Men's ITU Triathlon World Cup; Mooloolaba, Sunshine Coast, Queensland, Australia; 16 March 2013. Photos by Des Thureson - disci.smugmug.com.